The successor to “WooCommerce Products FlexSlider all in one”. This plugin allows you inserting the product carousel (recommended, newest or bestsellers) from the store based on the WooCommerce. 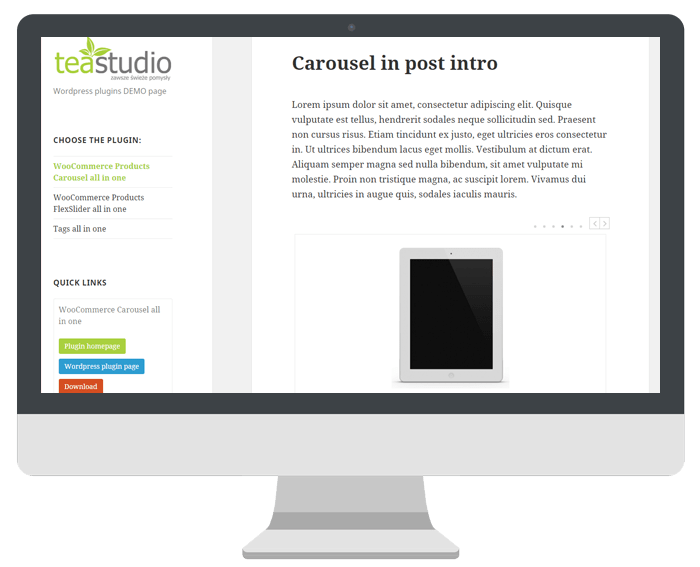 The plugin offers rich parameters of carousel display and entry information, and provides better support for mobile devices.